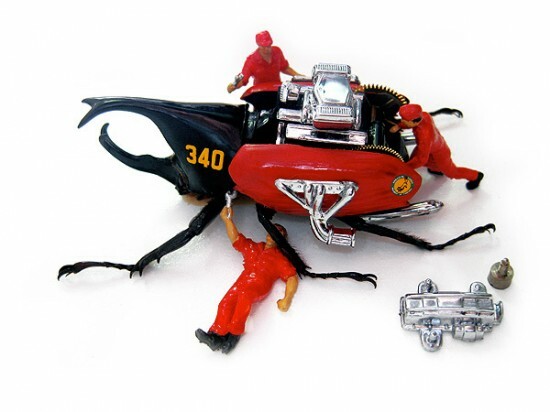 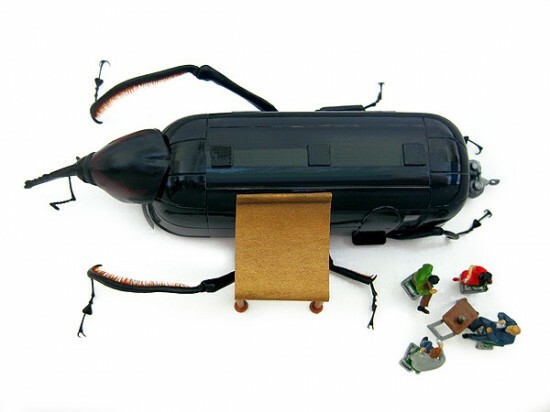 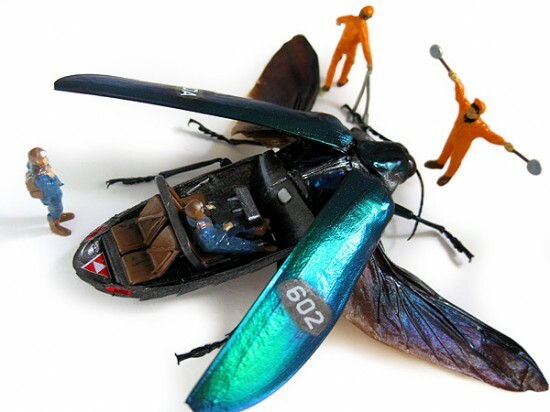 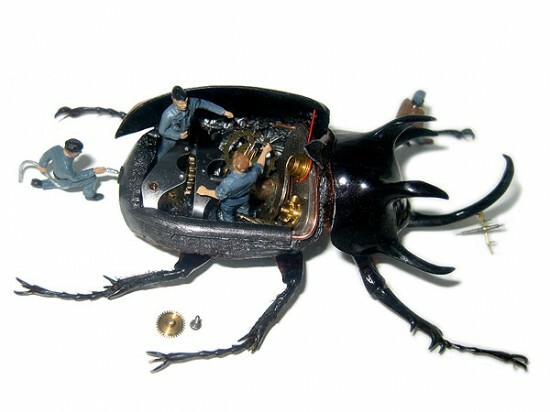 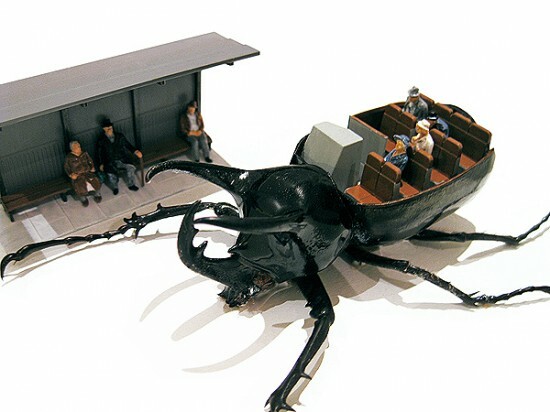 Micromachina is a collection of real taxidermy insects fitted with various devices that is meant to show how we humans mistreat nature, forcing it to do our bidding. 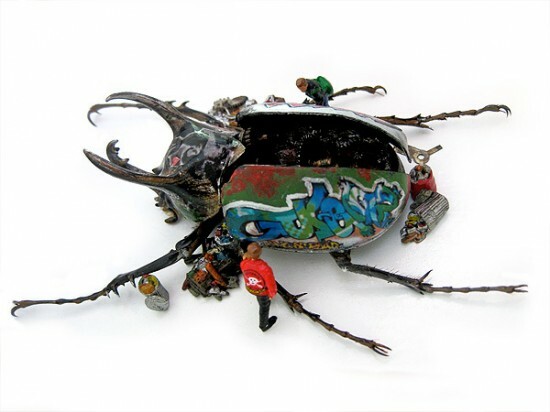 Scott Bain’s creations show humanity’s disregard for nature in all its forms: genetic modifications, pesticides or massive urban expansion. 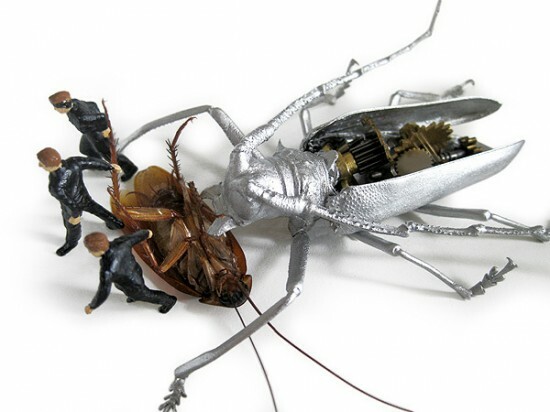 There’s practically nothing we won’t do in our never ending quest for profit, and the artist believes there will come a time when nature will rid the world of its biggest pest, us. 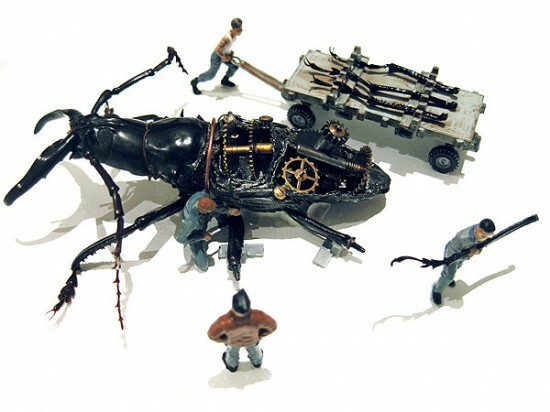 The hollowed-out Micromachina insects were inspired by our way of using technology to control nature and turn every living thing into a tool.